$190.00 per day (Rate covers up to 8 people) (3 and 5 mile floats) *Minimum charge apply. $120.00 per day (Rate covers up to 4 people) (3 and 5 mile floats) *Minimum charge apply. $95.00 per day (Rate covers up to 3 people) (3 and 5 mile floats) *Minimum charge apply. We shuttle privately owned boats when you camp with us – Rate starts at $20.00 per boat, call for details. 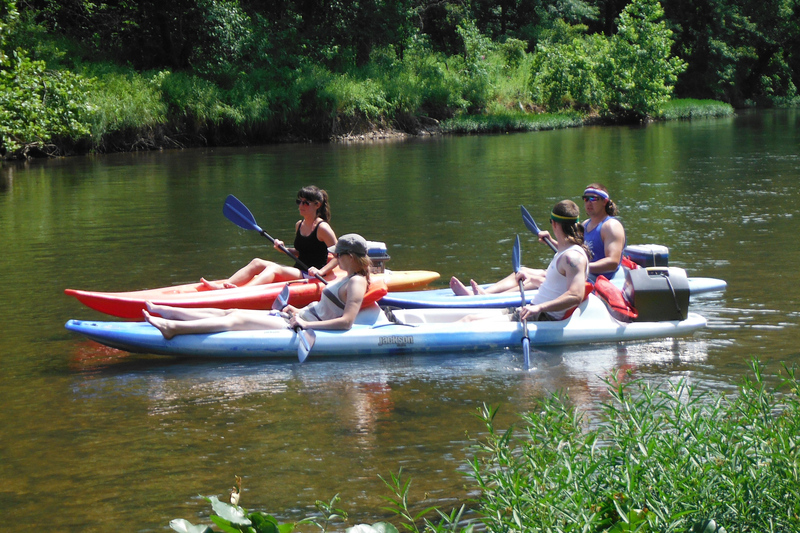 When a group coordinator rents over 10 canoes or kayaks you receive a group discount off our regular price. The reservations must be made by a designated group coordinator who collects and pays for all camping and rental fees. Call for details, subject to availability so reserve early! 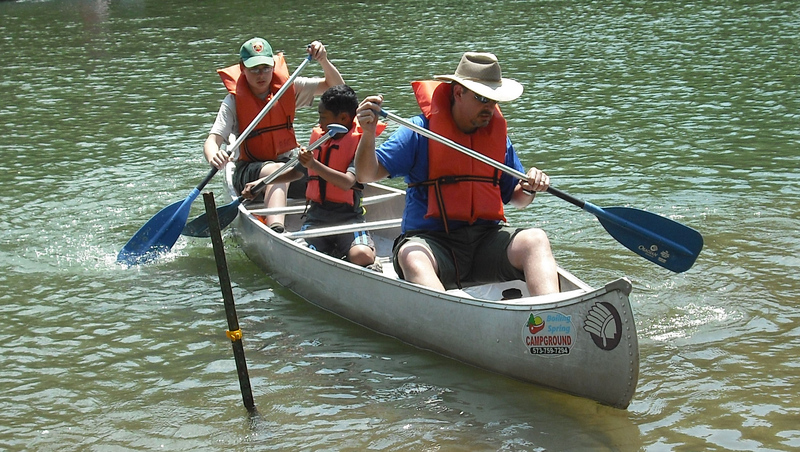 Canoes, rafts, kayaks, Jon boats and tubes must be returned and off the water before 7:00 pm on the day rented. Our floating rates include life vests, paddles, trash bags and portage between our put-in or take-out locations. We will charge for lost life vests and paddles. Children under the age of seven must wear a life jacket at all times while on board a watercraft. NEW MISSOURI LAW: No glass, beer bongs, kegs, gelatin shots or Styrofoam coolers on Missouri State Rivers. Registered, paid, guests will be provided with color coded wristbands to be worn while camping with us, when riding our shuttle busses, and during all float trips. 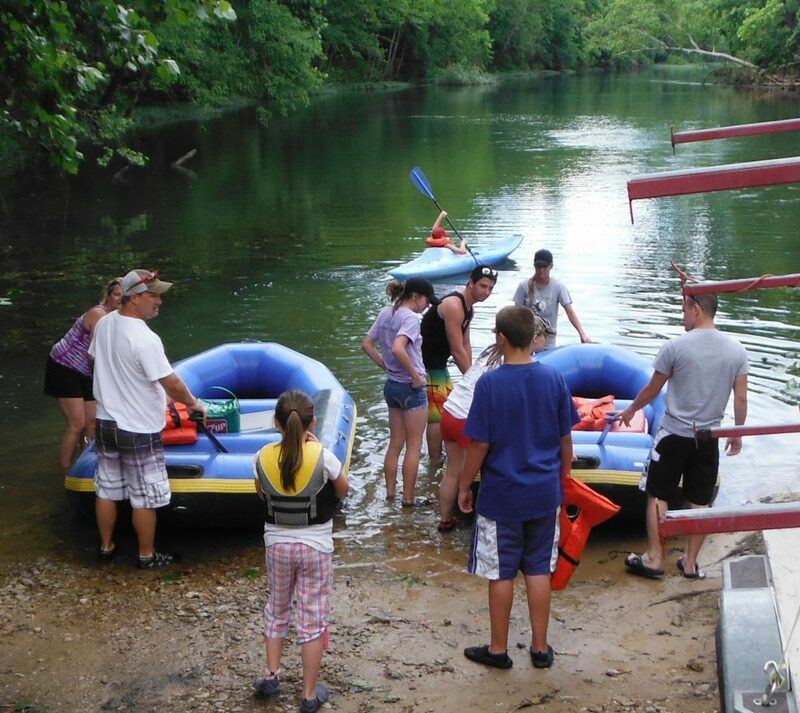 Float Trip discounts available for large groups, call for details and quote!